← What would you do with a 75,000 IOPS ZFS storage system? 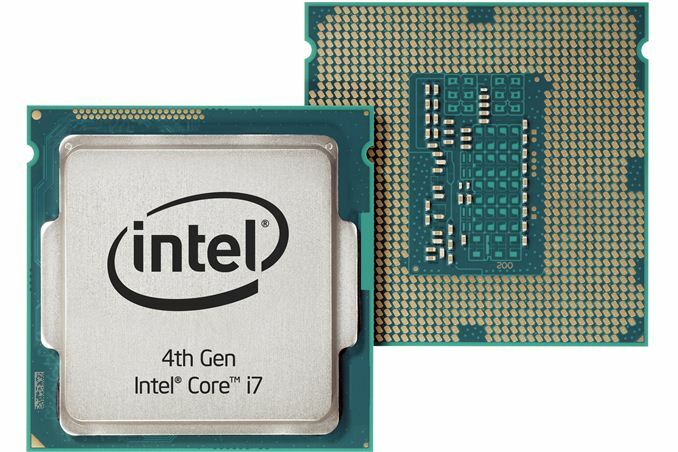 In the past week, you may have already heard a lot about Intel’s new fourth-generation Core processors (codenamed “Haswell”), as they are being adopted in a slew of mobility products, such as the new Macbook Air announcement at WWCC and a next-generation fanless HP tablet to be released later this year. This speaks volumes to technology’s advancements in integrated graphics and improved energy-efficiency. As the successor to Ivy Bridge, Haswell offers quite a bit of performance and computing benefits for regular desktop computing as well, which is why we believe you’ll want to incorporate Haswell-based workstation as part of a widespread hardware refresh at work, especially if you’ve skipped a generation or two. The new Intel® Core™ processors are the “tock” of Intel’s tick-tock processor release cycle, meaning it’s a new architecture based on an existing manufacturing die process; a “tick” release would see the launch of a new manufacturing process on an a previous architecture. The Haswell is built on the new 22-nanometer (nm) architecture that requires an integrated voltage controller, which means they will only be compatible with desktop motherboards that support the new Socket 1150 processor socket. Increased Performance – Using the 22nm manufacturing process, Haswell builds off the performance gains achieved by Ivy Bridge (up to 18%), by delivering as much as a 15% computing increase in the newest Core processors. More Powerful Cores – In addition to a larger caching bandwidth (double the L1-cache and L2-cache to 64 bytes/cycle), the main reason for the performance boost is the increase in the number of operations executed per clock cycle from six to eight. This diminishes the likelihood of unnecessary operations being performed, decreasing latency and improving bandwidth. Reduced Power Consumption – Intel predicts that lower-end Haswell desktop processors may consume as little as 15 watts compared with the 35 watt consumption of previous generations. This lower energy consumption is particularly significant for processors built into desktops and workstations, as this scaled down power draw means cooler chips and reduced heatsink and fan sizes. Finally, thanks to it’s low power state known as S0ix, Haswell-built systems offer a wake-from-sleep state in under three seconds vs. seven seconds of previous generations. To celebrate this nanoengineering milestone on a silicon wafer, Pogo has built not one but three Haswell-based Intel Core Linux workstation offerings, each uniquely equipped to meet your specific business needs. Tempest T2H Workstation – Starting at $1,884, get an extremely quiet mid-tower workstation with water cooling that deliver the highest computing performance with nearly silent operation under your desk. Configure up to a quad-core Intel Core i5/i7 CPU and up to 32GB of DDR3 memory. Verona 930H Workstation – Starting at $1,282, tackle resource-intensive applications with quad-core Intel Core i5/i7 CPUs, four SAS or SATA SSD/HDDs, up to 32GB DDR3 memory in a mid-tower form factor. Verona 931H Workstation – Starting at $1,218, this system is similar to the Verona 930, however, it features the Intel C226 Express chipset motherboard with PCI-Express 3.0 slots for even greater functionality and expansion. Next up for the Haswell will be versions for the Xeon processors for rackmount servers and storage systems. We’ll be sure to keep you posted, as we are eagerly awaiting these core innovations coming to the data center. This entry was posted in Workstations and tagged Haswell, Intel Core. Bookmark the permalink.